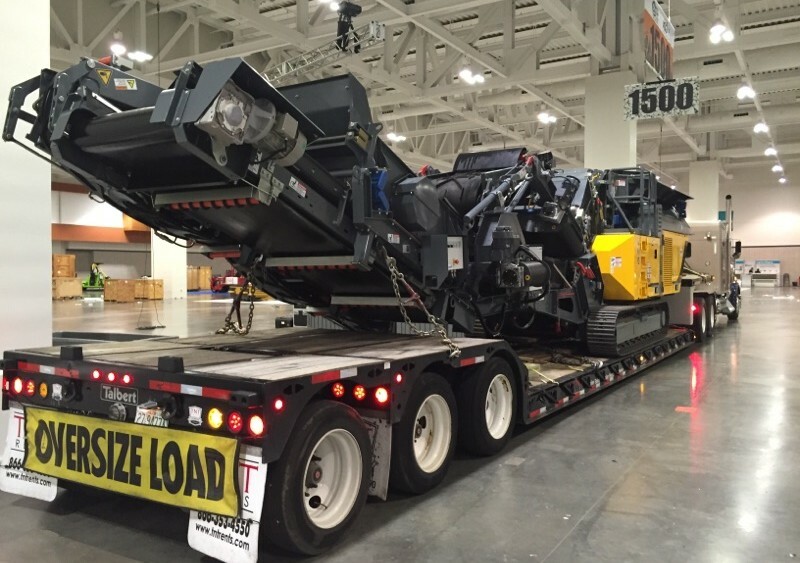 This month’s project of the month was a Heavy Equipment Trade Show involving several different clients. Each of our clients had set delivery dates and times which had to be met based on the client’s location within the exhibition hall. All of our clients had one thing in common their equipment was oversized and overweight and had to be unloaded by the drivers when they arrived onsite and then reloaded and shipped back out at the completion of the show. As part of our show services we had members of our team on the ground to help manage the process making sure everything went as planned so our customers could have a successful show.